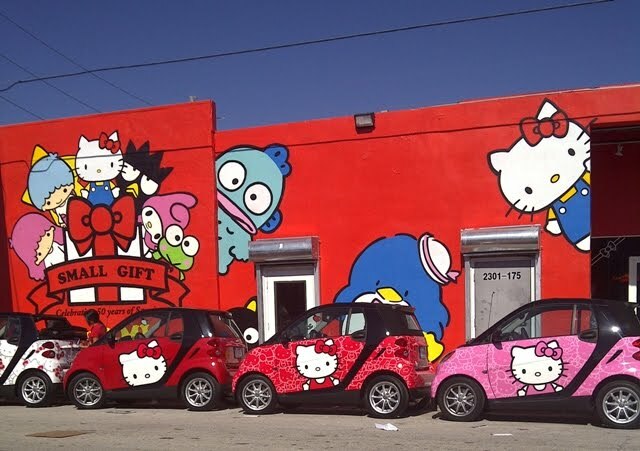 Check it out Sazoneros: Sanrio is in town and right on time for Art Basel!!!! Here's a sneak peak at the global brand's special art exhibition and pop-up shop called "Small Gift Miami." 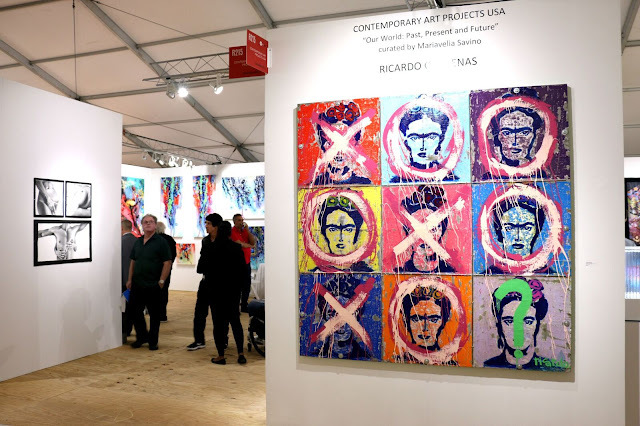 The event will be open to the public starting today, December 2nd, through December 5th in the heart of the Wynwood Arts District during Art Basel. This exhibition will showcase three stunning 35-foot wall installations created by artists CRASH, POSE and Anthony Lister. You can also check out a 35-foot visual timeline of the history of Sanrio & neon. For all of the fans and collectors out there, visit the special pop-up retail store which features exclusive 50th Anniversary merchandise and collectible items. 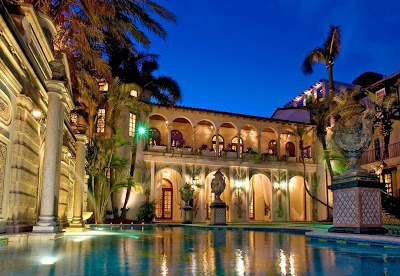 Small Gift Miami is located at 173 NW 23rd Street (Miami, FL. 33127). For a complete guide to this event, make sure you visit the official website. Can I get a ride in one of those Smart Cars?? ?